WASHINGTON, May 2 2014 (IPS) - While enjoying unprecedented successes in international relations, Iranian President Hassan Rouhani seems to be suffering a stalemate when it comes to building trust and cooperation between different factions in the Iranian state. As a result, he seems plagued by continuous human rights disasters at home, while issuing no public condemnations. Indeed, during an official event he held to mark Labour Day on May 1, wherein he encouraged citizens to set up organisations to advocate for their rights, approximately 25 labour activists were arrested in Tehran. Iranians, increasingly weary and angry, are holding their government and officials accountable. The detained included members of Tehran’s bus trade union, who had gathered outside the Ministry of Labour to offer the public sweets and flowers. 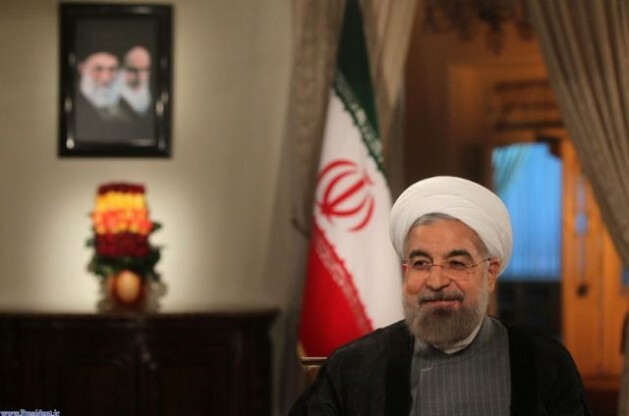 Prior to this event, during a live state television interview Tuesday, Rouhani vowed that he has not forgotten his 2013 presidential campaign promises. This vague declaration was interpreted by many as a reference to the continued house arrest, without charge or trial, of 2009 presidential candidates, Mir Hossein Mousavi and Mehdi Karoubi. During that same interview, Mousavi was rushed to the hospital with reported heart problems. Mousavi’s ailments, which have been ongoing during his detention, came on the heels of another human rights crisis in Iran. On Apr. 17, prison officials and security forces stormed the men’s “Ward 350,” at Evin prison in Tehran, where a number of political prisoners are being held. According to reports, the prisoners were beaten violently, many were moved to solitary confinement, and some had their heads shaved to humiliate them. The prisoners and their families claim that those in need of serious medical attention have yet to receive proper care in an equipped medical facility. Despite the fact that government spokesperson, Mohammad Bagher Nobakht, announced that an investigation was underway, Rouhani and his administration have been largely silent on the issue, refusing to publicly condemn the prison raid. This silence extends to other human rights issues, such as the high rate of executions in Iran. Observers and analysts agree that Rouhani has little influence over other branches of government, including the judiciary, which is responsible for stays in execution, overseeing courts and prisons, and issuing early prison releases. There is much speculation on the reasons behind this lack of coordination between Rouhani and other branches of government on a variety of issues, including human rights. Some analysts believe that the stepping up of executions since Rouhani took office is intended to embarrass and weaken his position on national and international stages. Others, such as Isa Saharkhiz, a political analyst and journalist, have offered a different analysis. In a recent article published on the Paris-based Rooz Online, this former political prisoner argues that the raid and recent arrests are intended to send a message from hardliners to Iranian dissidents, saying that while international relations may be changing, domestic policies will remain the same and little dissent will be tolerated. In his election campaign, Rouhani repeatedly promised to ease the impact of Iran’s security state on citizens, and while in office, has welcomed constructive criticism and encouraged Iranians abroad to return home. However, despite his new approach to Iranian human rights, throughout these many crises, Rouhani has refused to publicly and clearly condemn the actions of hardline groups, opting instead for a quiet, diplomatic approach to solving problems. He alluded to this approach in his televised interview, when he stated that he has started a process of peacebuilding and reconciliation both internationally and nationally. But patience is wearing thin among Rouhani’s critics and supporters. Many are angry at the slow pace of change and the continued repression and rights abuses in Iran. While Rouhani, hardliners and reformers engage in a battle of wills and shows of strength, the Iranian public is reaching its own understanding on human rights. Last week, when families of prisoners in Ward 350 were staging a protest outside the presidential offices to demand an investigation into the prison raid, something strange and unexpected happened. The incident was widely reported on social media. These women were relatives of prisoners who had been sentenced to death because of petty drug dealing, according to other accounts. The women had come to the office of the president to demand justice and to prevent the execution of their sons. The understanding that the public has reached on human rights issues demonstrates a serious rift between the state and the public. Across the country, Iranians, including family members of death-row inmates, disenfranchised youth from ethnic-minority communities, and the working poor, are rapidly changing their view of and approach toward the state in their demand for human rights. The state, however, seems unwilling to respond to these demands. While this boiling-point situation may be the legacy of the Ahmadinejad era, or those who have come before him, it is still a legacy that President Rouhani must address. These demands will likely, if left unanswered, prove problematic for moderates like Rouhani, and the hardliners who prefer swift reprisals. Since his June 2013 election, Rouhani’s concentrated efforts have achieved considerable success in reforming Iran’s image internationally. So far, though, Rouhani’s efforts at national reconciliation have been narrowly focused on peacebuilding between political foes — hardliners and reformers — rather than the public. This effort has been carried out in silence and behind closed doors. To be successful national reconciliation needs to include a broader segment of the Iranian population. Rouhani should take cues on his successes internationally and begin building trust with the “public” that seems to have been forgotten. This trust-building must extend beyond economic reforms. Solving Iran’s human rights situation should be seen by Rouhani as a critical strategy for ensuring national and human security in Iran. Sussan Tahmasebi is an Iranian women’s rights activist, who lived and worked in Iran between 1999 and 2010. She is the co-founder of the International Civil Society Action Network (ICAN), where she serves as the Director of the MENA/Asia programme on women’s rights, peace and security.